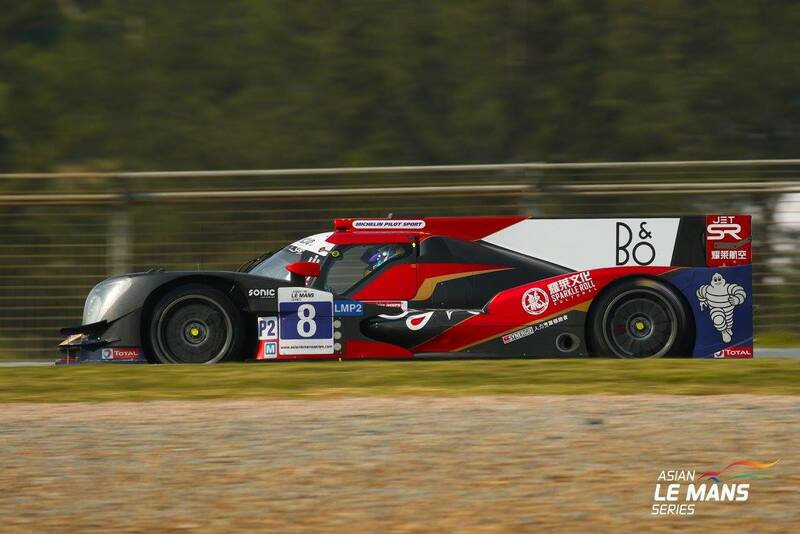 Jackie Chan DC Racing X JOTA, with its #8 Nissan-powered ORECA 05 driven by Thomas Laurent, Harrison Newey and Stéphane Richelmi, won the opening round of the 2017/18 Asian Le Mans Series in dominant fashion. Pushing the #8 entry hard to the chequered flag was the #37 BBT Ligier JS P2 driven by Davide Rizzo, Anthony Xu and, taking the final stint, Luis ‘Pipo’ Derani. The final podium spot in the LMP2 class was taken by the #4 ARC Bratislava Ligier JS P2, piloted by Miro Konopka, Konstantins Calko and Rik Breukers. The five-car LMP3 category, all Ligier JS P3s, was won by the #18 KCMG entry driven by Josh Burdon, Louis Prette and Neric Wei. 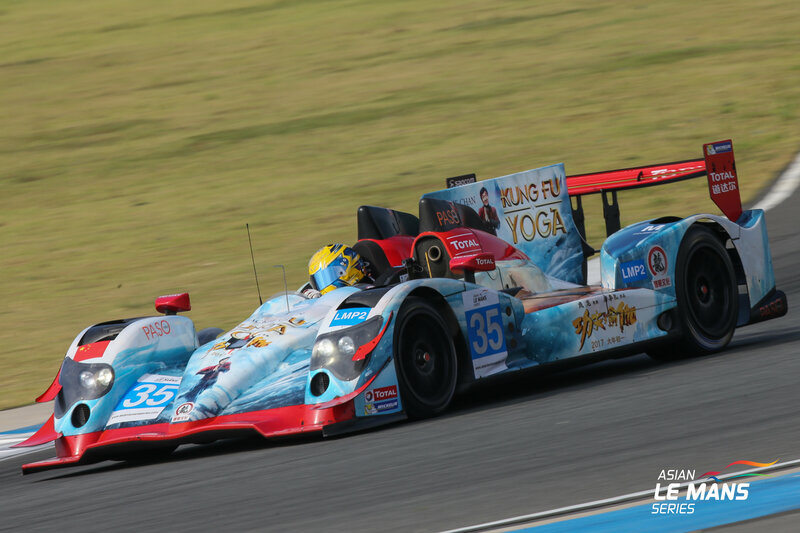 Second in the LMP2 class was the #11 Taiwan Beer GH Motorsport entry, piloted by Hanss Lin, and Shaun Thong. The final step on the podium was taken by the #6 Jackie Chan DC Racing X JOTA entry driven by Guy Cosmo and Patrick Byrne. FIST-Team AAI took a 1-2 in the three-car GT field, the #91 BMW M6 GT3, piloted by Junsan Chen, Jesse Krohn and Chaz Mostert, taking the win, followed 22.214 seconds behind by the sister #90 Mercedes-AMG GT3 driven by Lam Yu, Ollie Millroy and Rafaelle Marciello. 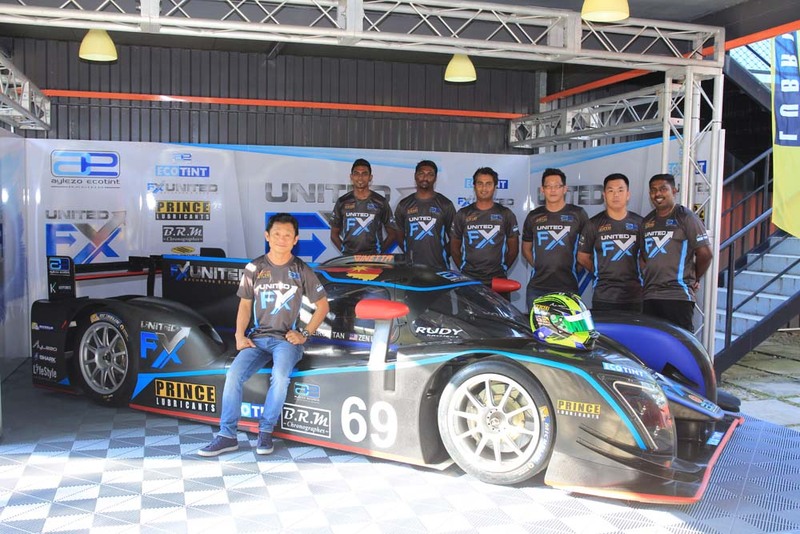 Jackie Chan DC Racing X JOTA enjoyed a day of mixed fortunes. After locking out the front row of the grid in qualifying, the second-placed #7 entry, with David Cheng at the wheel for the start, started slowing soon after the lights went out. An electrical problem was diagnosed but the car fell to the back of the class and was retired after completing 41 laps. The #8 car, meanwhile, dominated the field from pole. 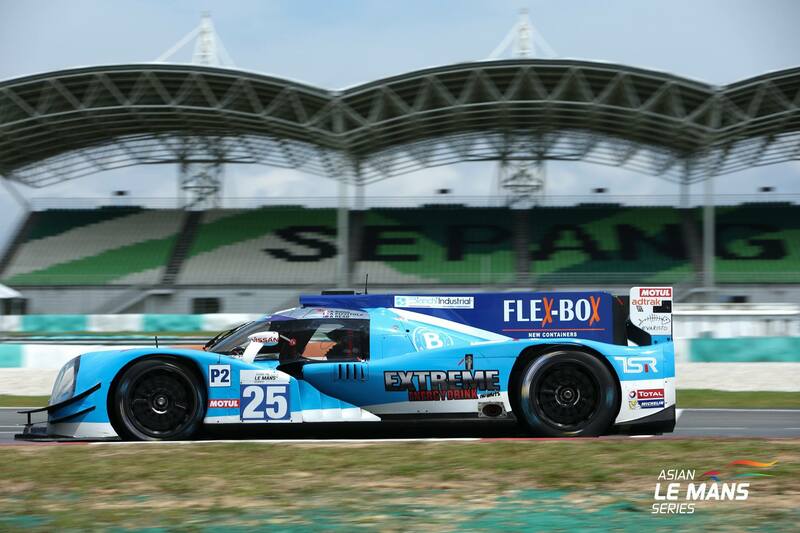 Thomas Laurent took the opening stint and was soon opening a gap to the #37 BBT Ligier with Davide Rizzo at the wheel. There was drama, however, for the #8 car after contact with the #66 Tianshi Racing Team Audi R8 LMS, driven by Massimimiliano Wiser, resulted in damage to a legality panel. Although the #8 car was not immediately called in, it was required to replace it at its next pit stop. The lengthy stop for the #8 car resulted in Harrison Newey, son of Adrian Newey and in his first prototype race, re-joining in sixth position. Newey, however, showed himself as a star of the future, by pushing hard from the start of his stint and retaking the lead at the half-way mark, a position which Richelmi was able to consolidate to the chequered flag. 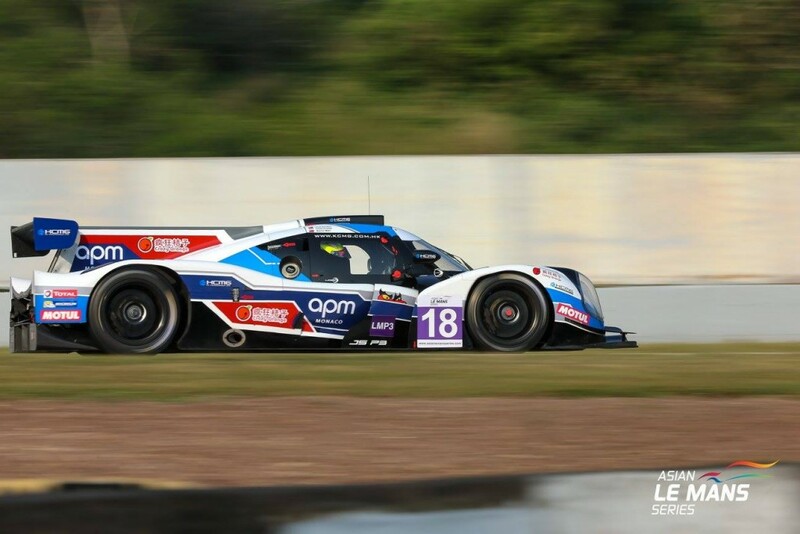 Starting from pole position in the LMP3 category, the #18 KCMG Ligier JS P3 fell back to third in class during the first hour but a solid stint from Monégasque Louis Prette, his second drive in prototypes, had the car at the front of the class by the half-way mark. Josh Burden then took the #18 car over to bring it home 58.727 seconds ahead of the #11 Taiwan Beer GH Motorsport entry, piloted by Hanss Lin. FIST-Team AAI qualified its #90 and #91 entries first and second in class and held that order throughout the first half of the four-hour race. Jesse Krohn, however, took the class lead in the #91 BMW M6 GT43 in the second half aof the race and brought the car home for its first win of the 2017/18 Asian Le Mans Series. The second round of the series will be held at Fuji Speedway, Shizuako Prefecture, Japan on December 1 – 3.